Have been on holiday this week. I decided to do some activities in the area where we stay. We have done some day trips to game lodges in the Waterberg area. First was Thandile guest farm (www.tandilecountrylodge.co.za) where we did some horse riding. The owner manages the lodge himself. He has a passion for horses. He has trained all his horses to work with herding cattle and guest rides. The horses have a very gentle nature and are very aware of your riding skills. They adjust according to the feel which you give them. So if you just want to plod along they will do it or if you want to get some wind in your hair, off they go. 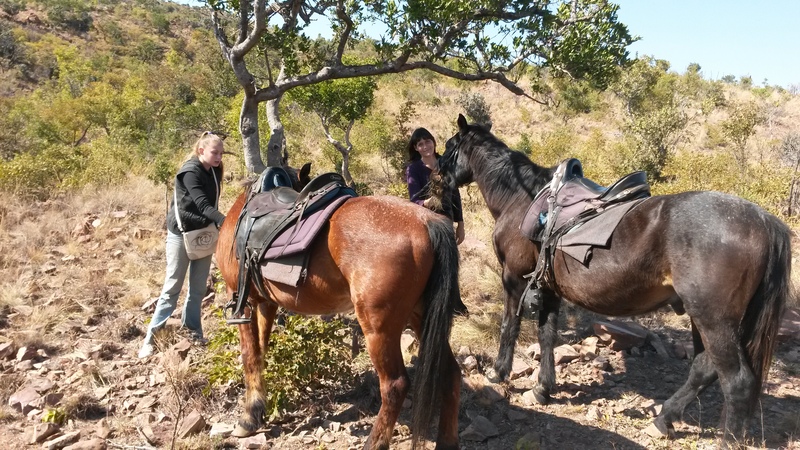 All horses range free in the bushveld hills and are rounded up and saddled for you. So you need to make bookings with Cobus before hand. The roads wind up from the valley bottom to rocky hills where giraffe, kudu,impala,klipspringer and other bushveld animals range. What is nice, time is no problem. If you want to ride for one hour or three it is the same price. Cobus makes sure the horse matches you and that all saddle adjustment are made to fit you. There are also marked out mountain bike trails. Be prepared for lots of loose rocks. He has some nice rooms in a very old house that has been renovated. However be prepared for work in progress around the lodge area. There is a restaurant area that is your home away from home. The cats and dogs make you feel part of the family. Very family orientated guest farm. 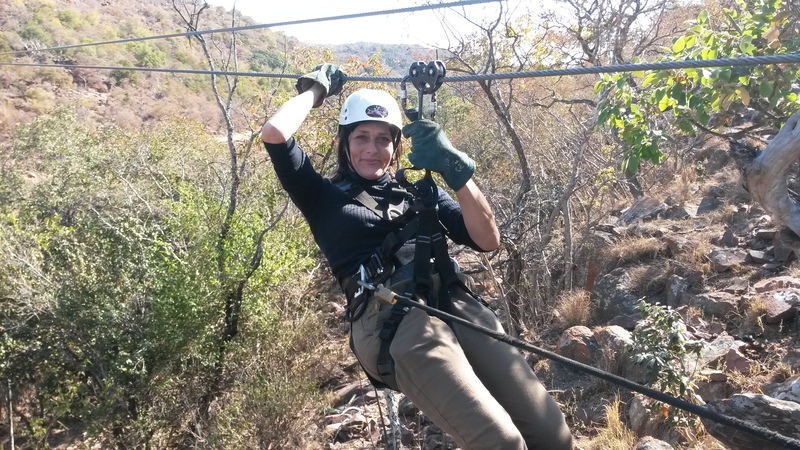 Today we did the Zipline tour (http://waterbergzip.co.za) at Tabo Monate game lodge. It has a set of 11 ziplines criss crossing a valley.Tour takes about two and half hours. For a person like me that is a little afraid of heights it was a good challenge. The guides were very friendly and safety continuously. This was a wonderful experience. Would recommend it to anybody spending a weekend up in the area. 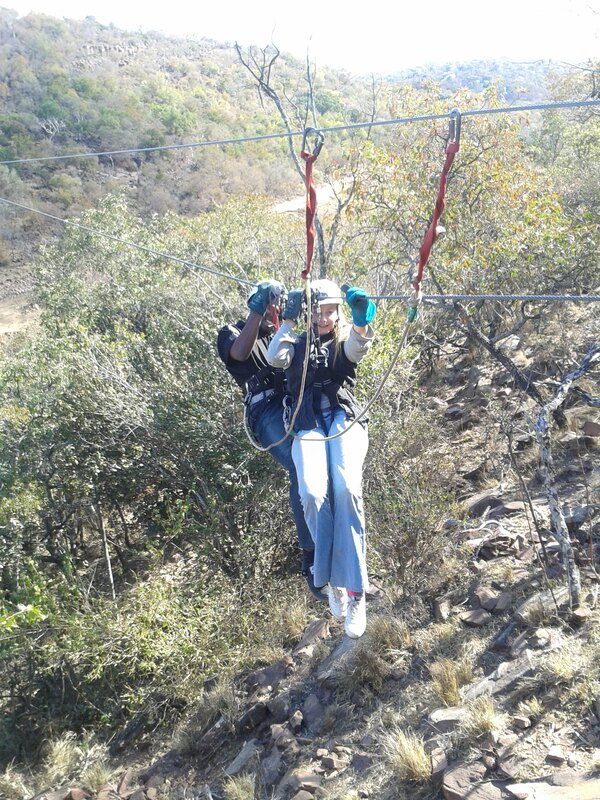 Longest Zipline was about 190 m.
Was good to experience what this area has to offer. Most of the time I am riding my bicycle along the roads and just see the signs for the different lodges. 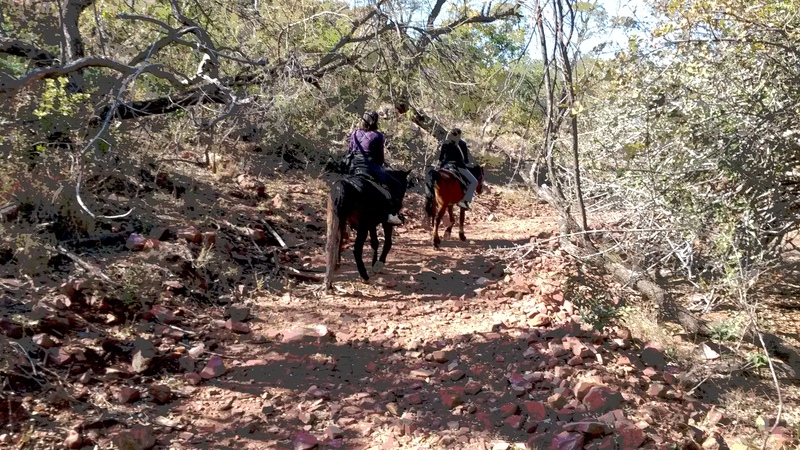 This entry was posted in Uncategorized and tagged horse ride, waterberg, zipline by krfarmer. Bookmark the permalink.